above-ground parts can be eaten raw. best when cooked or dipped in saltwater to counteract bloating. flowerheads can be eaten raw, dried or cooked. flowerheads and seedheads can be ground into flour. sprouts have the best taste. creeping stems and roots can be cooked. 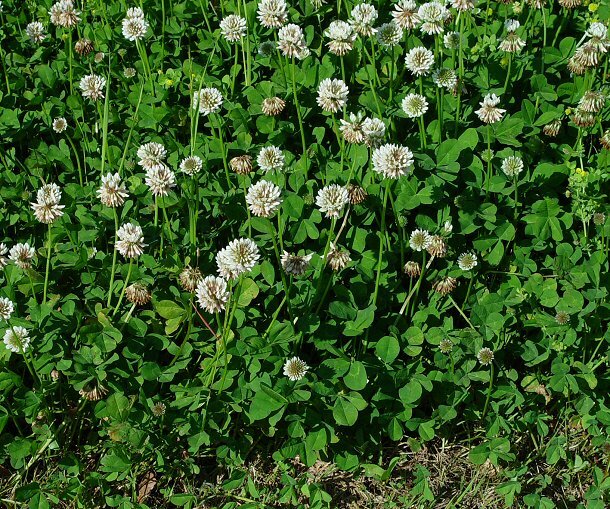 varieties in the Pacific Northwest are Red clover (Trifolium pratense), Alsike clover (Trifolium hybridum), White clover (Trifolium repens) and Springbank clover (Trifolium wormskioldii). grows in a wide range of terrain, look in disturbed soil areas. warning: difficult to digest, can cause bloating. warning: red clover in autumn should be avoided or not be eaten in large quantities due to alkaloids.